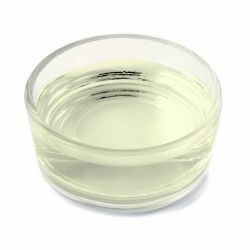 Eugenol is a yellow viscous liquid with the same odour as clove. It makes up 85% of clove oil. It occurs naturally in cinnamon and bay essential oils among others. We use it as a fragrance material. As it is a constituent of some essential oils, eugenol can be found in several of our products. It is part of the characteristic notes of our Blue Skies Bubble Bar. From the clove bud essential oil, eugenol contributes to the deep fragrance of our New Shampoo Bar and our Les Cacas No Sh*t colours range. It is also a part of the rich aroma of our H'Suan Wen Hua hair treament.